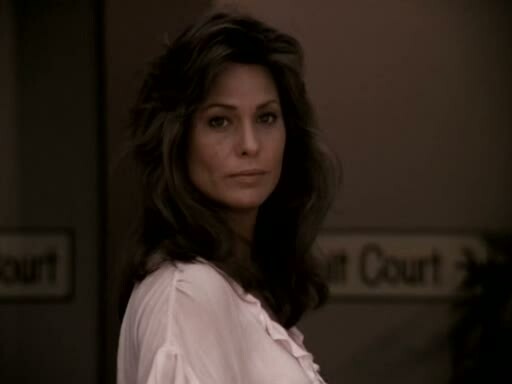 In 1985, Cristina Raines guest starred in a third season episode of Riptide titled 'Thirty-Six Hours 'til Dawn'. It was just another great TV role in a long line of fine guest appearances she would do throughout the 1980s. In the opening shot of the Riptide episode, Cristina Raines is shown on the cover of a fictional magazine called Visage. You might recognize the image as it is one of the most popular photographs of Cristina Raines. That's Riptide cast member Thom Bray holding the magazine.